The Essential Cosmetic Surgery Checklist #infographic ~ Visualistan '+g+"
Choosing to go ahead with a cosmetic surgery procedure is a big decision that requires serious consideration. We have taken a look at some of the factors that you should deliberate on whilst in the process of deciding the best course of action for you. From thinking about the entire possible financial costs, to managing expectations and planning for recovery, this checklist guides you through in an easy and accessible form. And it doesn’t stop there; once a consultation has been booked there is still much to learn about a procedure. We have highlighted the crucial questions to ask your operating surgeon at a consultation to ensure you receive all of the information available to help with your decision. 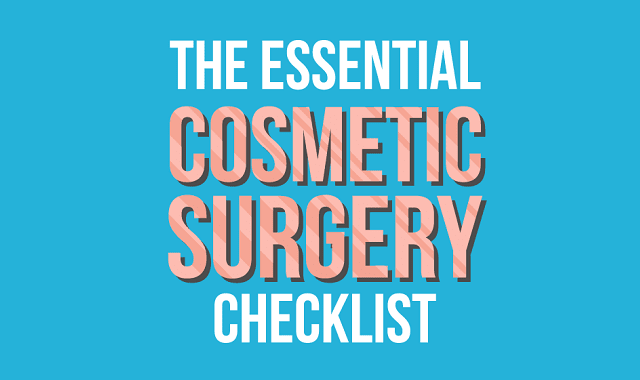 So whether you’re simply considering surgery or you’re waiting on a consultation, check out “The Essential Cosmetic Surgery Checklist” to ensure you have everything in mind to make the best decision for you!